It is never to early to begin weighing your options and planning a secure future. There are many moving parts and no right answers. 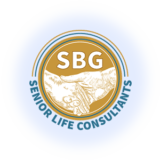 At SBG we believe the best option for each individual is to take into account income and assets, current health, family medical history, geography and whether family members will play a part in your longevity planning. Whether we maximize qualifications for public programs, utilize your existing assets, financial and insurance products or benefit from new financials products that are offering more options as our population ages, we will work hand in hand with you to create a comprehensive plan that is well suited for aging in your community.